Becoming a successful entrepreneur—with income, ideas and business flowing—is not for the faint of heart. Admittedly, everyone isn’t up for the challenge, but bringing your vision to life and having the courage and the tenacity to create wealth by providing service to others is the stuff entrepreneurial dreams are made of. 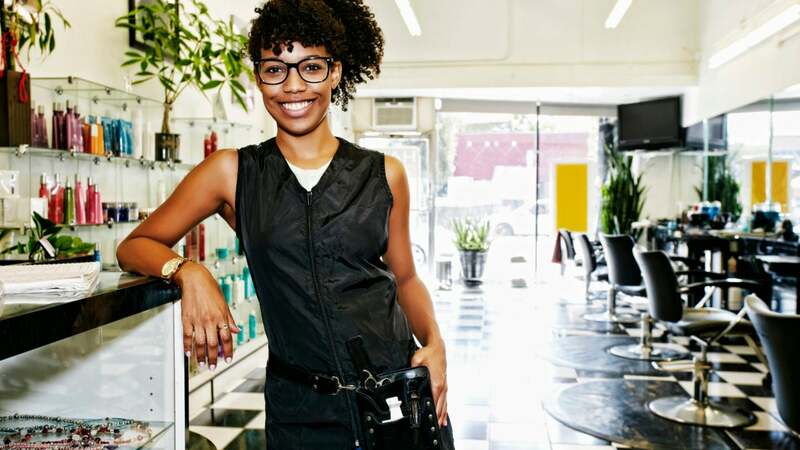 The number of women-owned businesses grew 114% from 1997 to 2017 and there were an estimated 2.2 million African American, women-owned businesses in 2017, according to the Annual State of Women-Owned Businesses report, commissioned by American Express OPEN. The surge in Black women-owned businesses is an indication that we aren’t afraid to take risks and control our destiny on our own terms. Whether starting a tech firm, a private practice or opening a franchise or bakery, Black women are increasingly charting their own professional course and embracing the idea of being your own boss as a way to enjoy more happiness and fulfillment. Starting a business provides the opportunity to collaborate with other women who support one another, and allows you to tap into the power of your network. Expanding your network gives you greater access, facilitates the sharing of information, and makes it easier to influence others and gain business resources, insights and with any luck, new clients. Some aspiring entrepreneurs currently working in a 9-to-5 feel stuck and unclear about how to bring more happiness to their lives. When you take the leap to be your own boss, with that comes the ability to be intentional about working with clients that provide a level of fulfillment. Protecting your personal space and being selective about the people you work with is a radical act of self-care and can be gratifying in ways you never thought possible. “Everyone has a different approach to self-care but for me, it includes being very protective of my personal space. As much as possible, I only invest time and energy into work and experiences that I love and as a result, add to my happiness. “Do what you love” is my first and only tattoo so I have a daily reminder of how important it is to choose me when I’m mapping out my day. Part of choosing me is being mindful of the projects I take on. Life is short and we spend more time working than anything else. Why not do something you absolutely enjoy? -Renae Bluitt, creator of “In Her Shoes blog, her love letter to Black women entrepreneurs, and filmmaker/creator of “She Did That” documentary. There are 168 hours in a week and while deadlines, client demands, and family obligations are sure to get most of that time, being your own boss allows you the flexibility to spend at least a few of those hours each week doing something that fulfills you. Whether you schedule a facial once or month or shimmy from your office into the conference room (or your living room) for a Beyonce dance break, consistently setting aside time for yourself is important. Let’s face it, the idea of being an entrepreneur can be downright scary. Many women have dreams each night of launching a business but by sunrise, they have a million and one reasons why being their own boss is something they could never pursue. Negative self-talk has killed many a dream, but it doesn’t have to. Whether you own a cleaning service, an accounting firm or a medical practice, using your God-given talents to do what you love provides a profound sense of gratitude. Sure, it’s true that business owners work long hours and wear many hats, but knowing you’re doing what you love from the moment you rise in the morning until you power down your computer in the evening, makes it all feel worthwhile. When you work for yourself, often you aren’t equipped with a team to manage a multitude of projects and responsibilities. If you do employ a staff, you are often the chief decision-maker and the buck stops with you. No matter the circumstance, you become extremely focused on learning all that you can from reputable professionals willing to share their wisdom and advice. Many women desire to pay it forward and be of service to others, but working in Corporate America often means our time is not our own. Although business owners spend a substantial amount of time launching and growing their businesses, they can often design their own schedule in a way that allows them to sit on boards, chair committees or volunteer for causes near and dear to their hearts. Leslie M. Gordon is a writer, communications, and marketing strategist, and the creator of Get Your Sol Follow her on Twitter.